The New York Times has an entire magazine devoted to real estate. It’s called Key and on one of the early covers was a stylized picture of a key with red lines radiating from it that looked like the vein and capillary system inside your body. That’s about right. Real Estate has become the substance of our dream life. When I read Key magazine, I feel as if all the information has segregated me and shut me out. One of the articles tells you how much house one and a half million dollars can buy today. If you want to move to Szigetkoz, Hungary (no, I didn’t misspell it) you get a 30-acre, ten-bedroom castle. In New York City, you get a one-bedroom apartment with lava-stone kitchen countertops and the noise of the West Side Highway at your doorstep. These stories have the same two or three general plot lines, and one motivating factor. If you are hunting for a new place to live, you are also hunting for a new life. 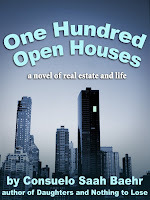 A newly married human resources executive wanted to buy a larger apartment but only if it had value and she could repeat the appreciation of her one-bedroom in Long Island City. After months of searching in Brooklyn and Queens, she and her new husband capitulated to - The Bronx! Ooooh, the Bronx. I’m scared for them. He’s from Norway and has no prejudice about the location or the drive-by shootings. The Bronx, we learn, has some wide thoroughfares (the Grand Concourse) and cheap multi-room apartments where a lot of famous people grew up. I once dated a boy from the Bronx. His name was Spencer and I met him at a summer job in the Catskills. I probably would have married Spencer if I had been Jewish and his parents hadn’t hired a hit man to off me. Frequently, married doctors with foreign hyphenated names pop up in The Hunt. They usually settle for the outer boroughs - Kew Gardens, Astoria or Jackson Heights. At the top of their wish list is a place to park or an extra room for their hobbies although I don’t know when they have time for hobbies with tiny children and long clinic hours, etc. The foreign doctors are happy with good space, good schools, convenient food shopping and washer/dryer close by as opposed to the glam location value of Manhattan. The defining factor of “The Hunt” is that all of the stories end in success. Nobody leaves town, depressed and beaten. Whoever invented the "Open House" maneuver, is my hero. 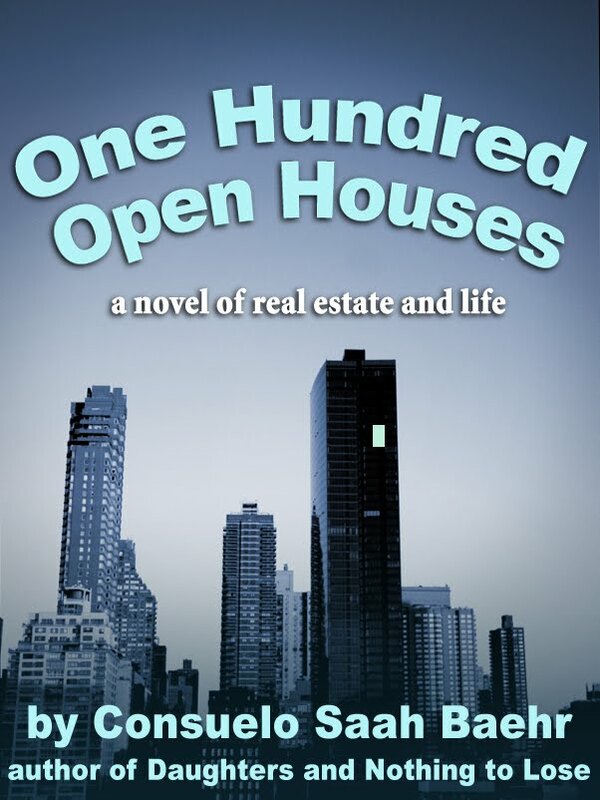 I love Open Houses so much I wrote an entire book about them. Once I was at an open house in the Flatiron district. It was a one bedroom overlooking the big clock at Met Life. The apartment had a mirror tile wall and swooping metallic lamps and glass tables and really no place you could sit and not be gouged by the unyielding materials. It was brittle in the way Bette Davis could be brittle. This man looked around and said, “If this apartment were a relationship, my verdict is, okay to date but would never marry.” When I think about that I’m wondering why I married my house. They are able to be found in many different shades and colours and will match an incredible selection of kitchen furniture styles, from timber to metal pieces. For the granite tile kitchen countertops to keep its beauty for a lengthy time, a daily maintenance is needed.